Nigeria starts on a high as they go 2 nil up against Rwanda in the 5 match series. 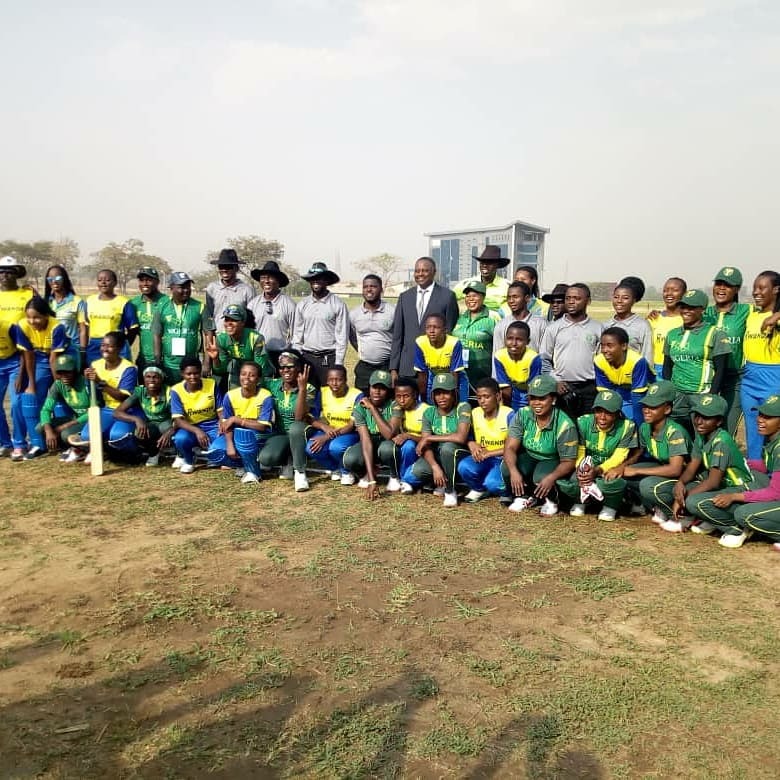 The first leg of the bilateral international series between Nigeria and Rwanda got off to a glorious start on Saturday 26th January 2019 at the newly constructed turf pitch in Abuja. 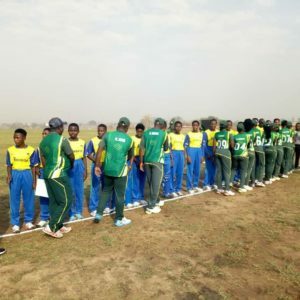 Teams filed out in the opening minutes to have the traditional rituals of the National Anthem of both countries. 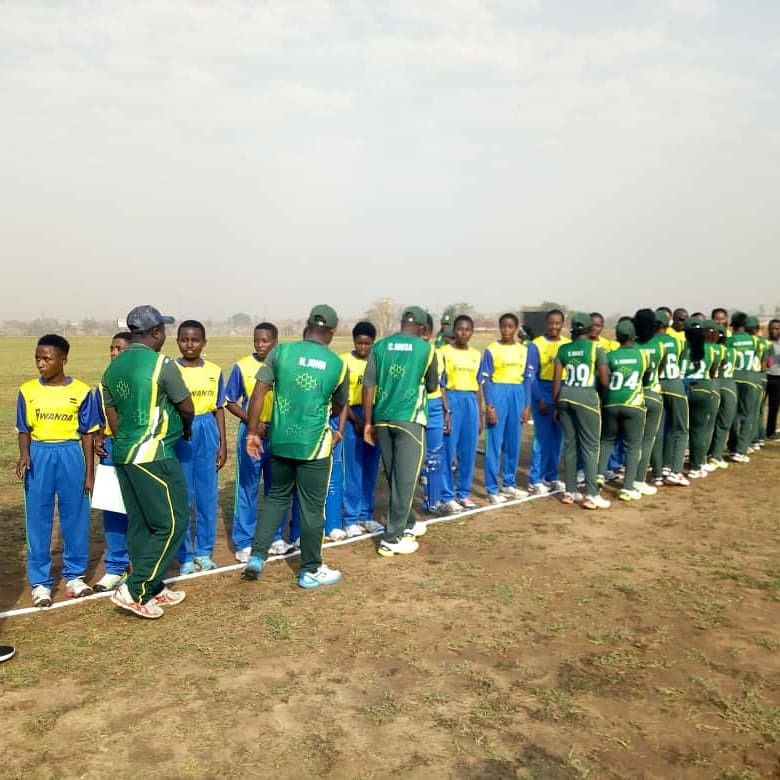 The President of the Nigeria Cricket Federation Prof. Yahaya Adam Ukwenya in his opening remarks thanked the Rwanda Team for honoring the invitation to play in Nigeria and wished them the best of luck with the games. 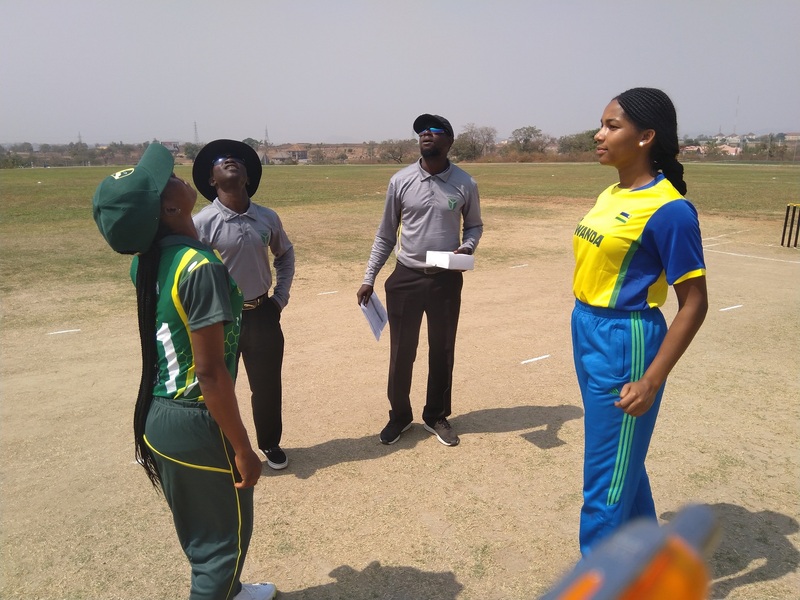 Nigeria won the toss and elected to field first sending in Rwanda to bat. 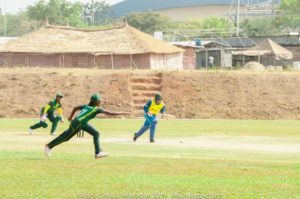 Rwanda struggled in the early overs to some decent bowling partnership between Blessing Etim and Samson Rachael. Rwanda could not put up a decent partnership and eventually crumbled to 65 runs all out in 17.3 overs. 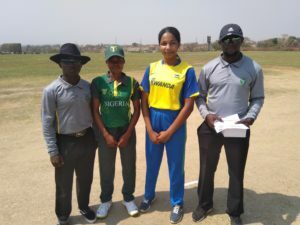 In the second innings, Rwanda responded well with the ball forcing the Nigeria opening pair to a run out in the second over. 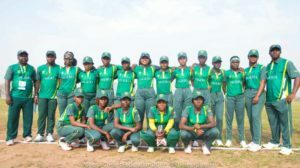 Nigeria struggled to keep a decent partnership as well with wickets falling every other over creating tension all around. 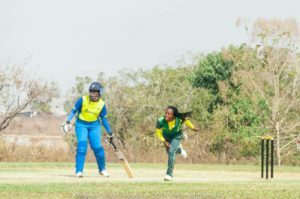 Nigeria eventually chased down the required total scoring 66 runs for the loss of 6 wickets in 19.1 over. 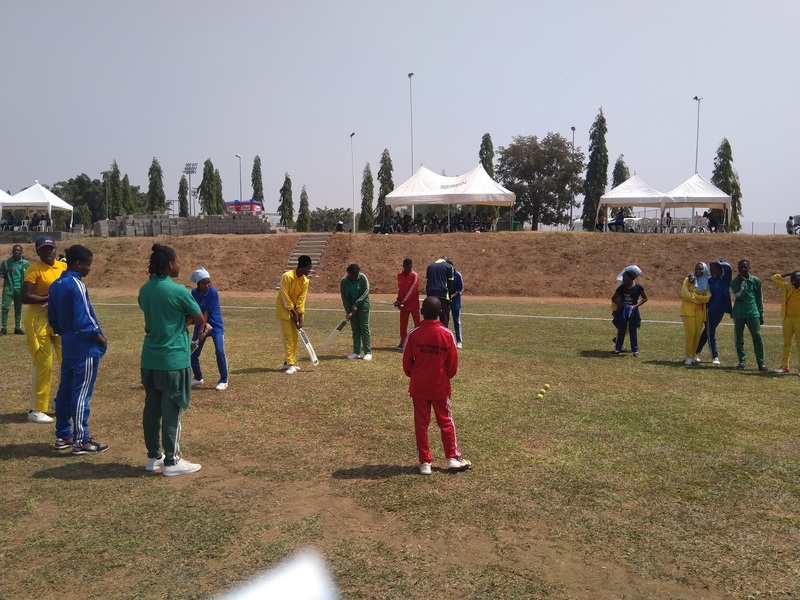 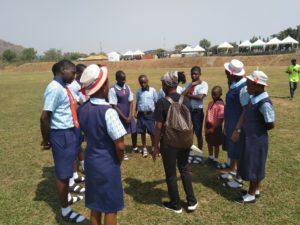 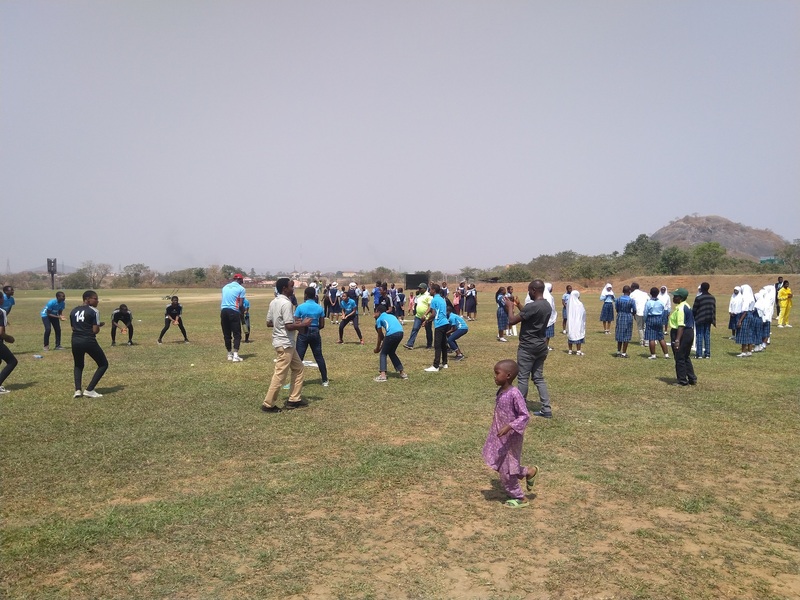 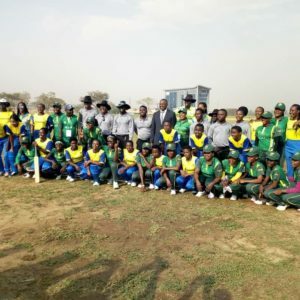 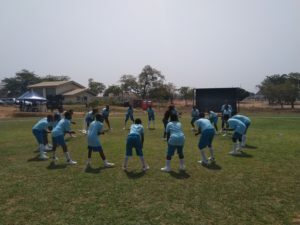 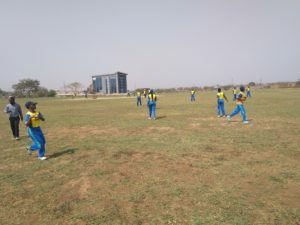 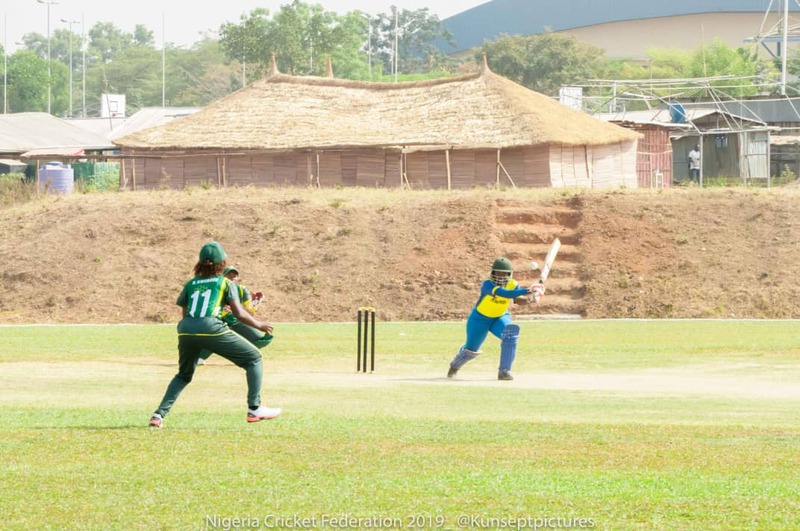 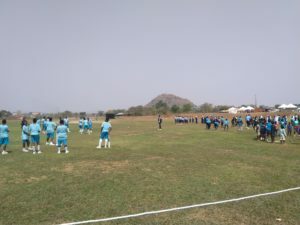 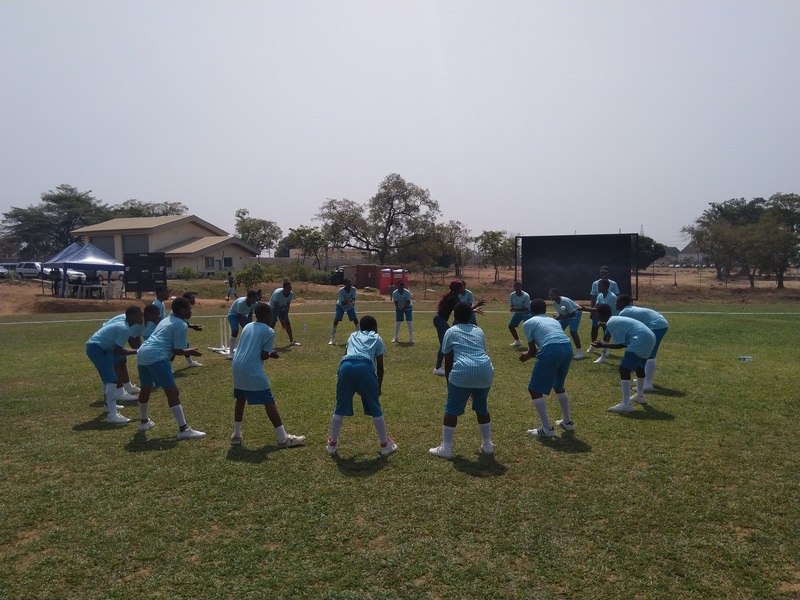 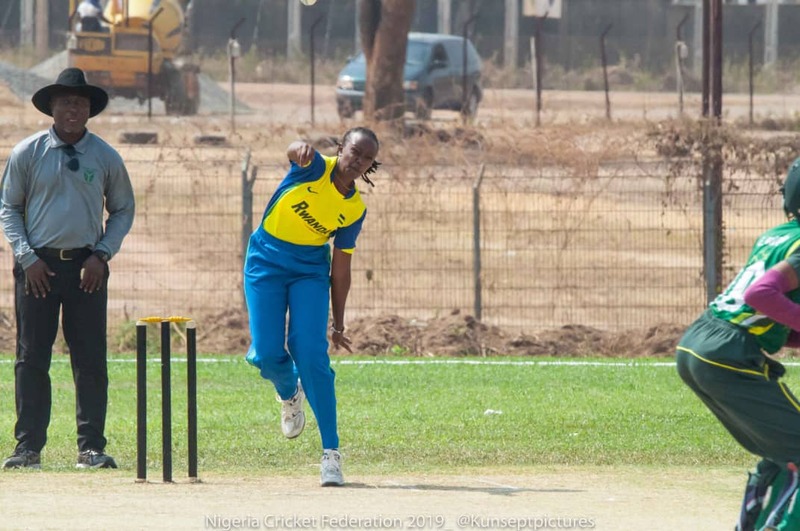 At lunch time, the Nigeria Cricket Federation used the opportunity to organize a coaching clinic for 5 schools that were invited to the games. 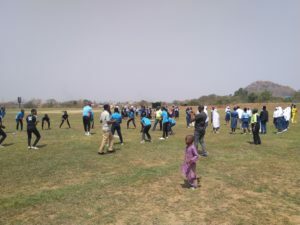 The coaching clinic was anchored by the National Development Manager (Northern Region supported by The National team Male coach Uthe Ogbimi, the Regional Development Officer (North central) and other volunteers. 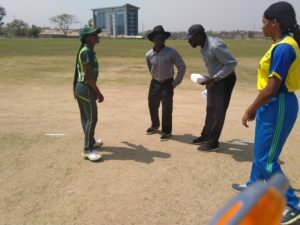 Rwanda won the toss and elected to bat first. There were some considerable improvements from the first game with a decent partnership in the first 10 overs losing just 2 wickets. A more aggressive approach saw them reach a total of 85 runs for the loss of 6 wickets in 20 overs. 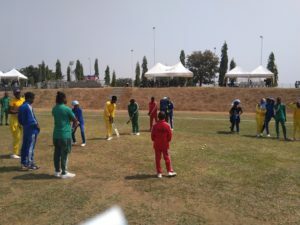 In the second innings, Nigeria lost a wicket in the first over same way, same player to set an early panic into the camp. 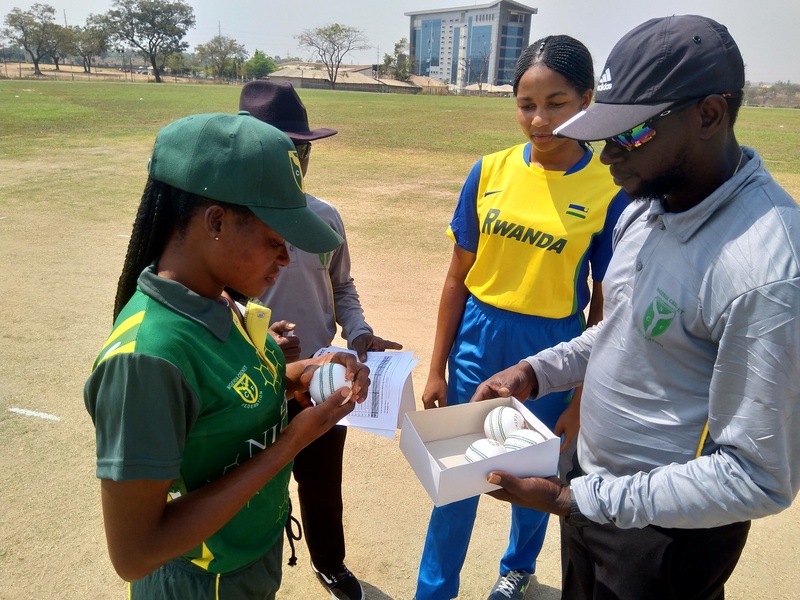 The partnership of Blessing Etim and Desmond Mary gradually steady the ship for a while until Rwanda got 3 wickets in quick succession to leave the game on a balance. 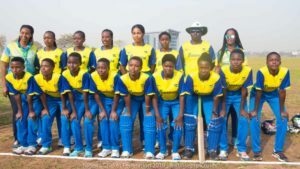 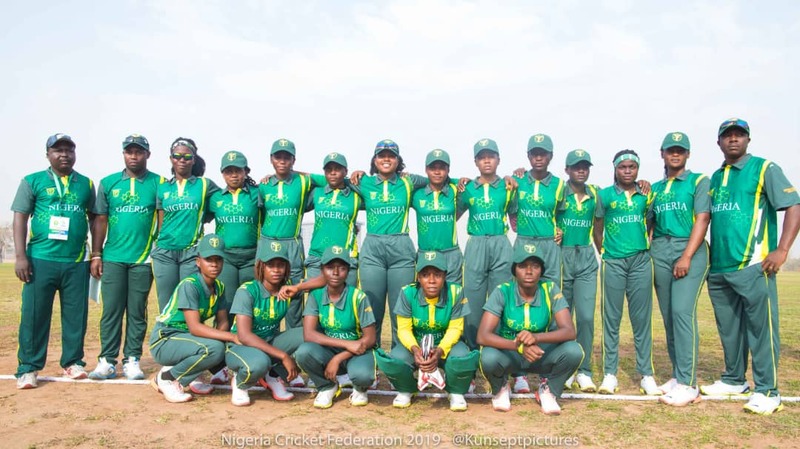 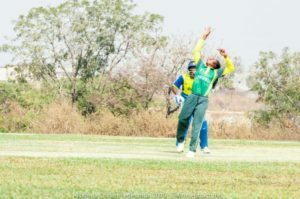 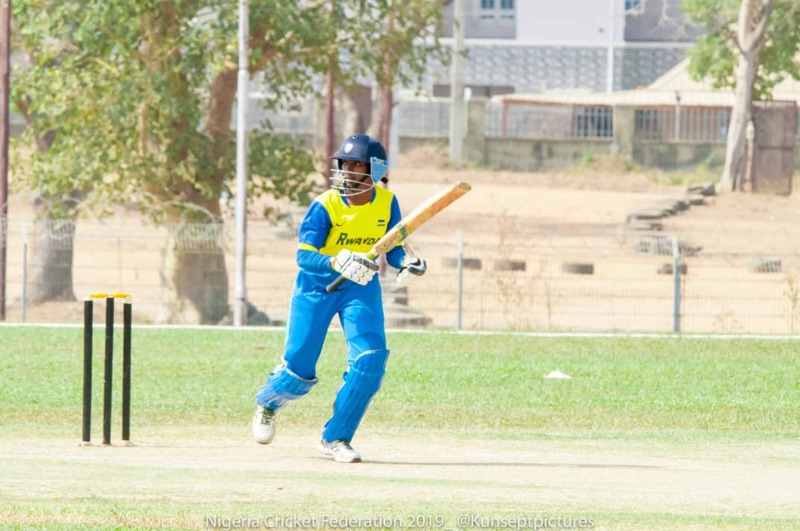 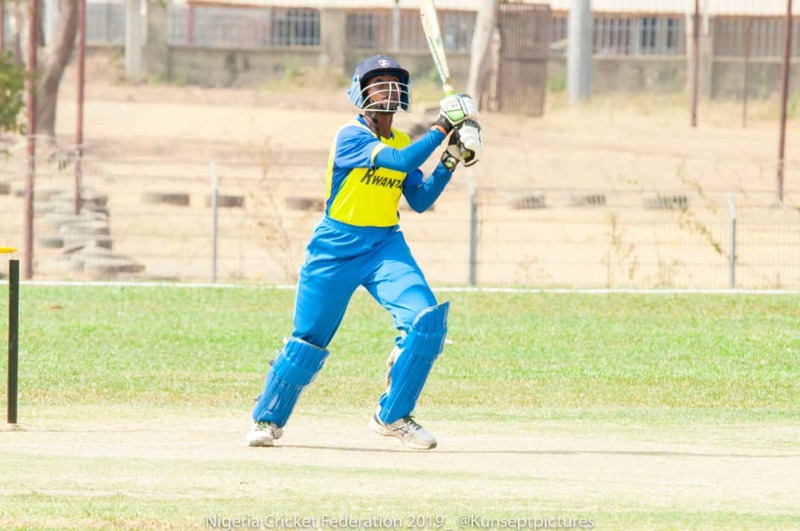 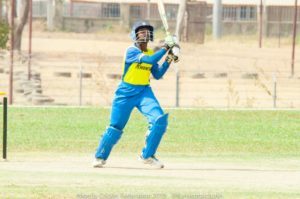 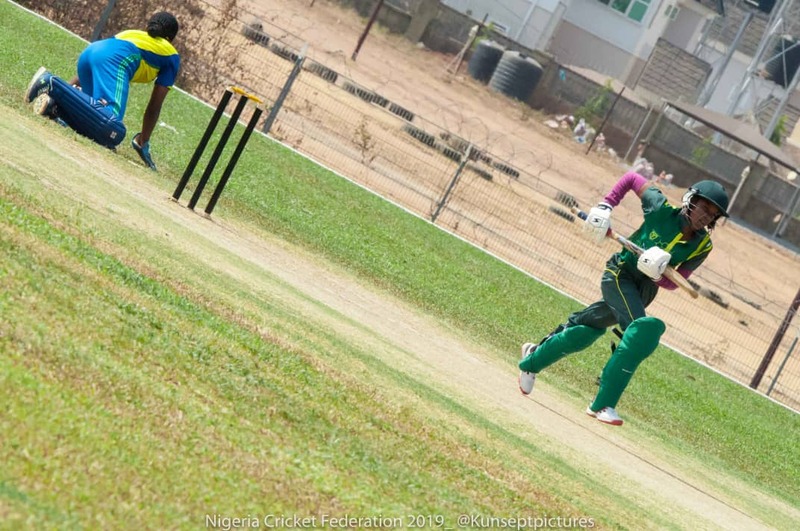 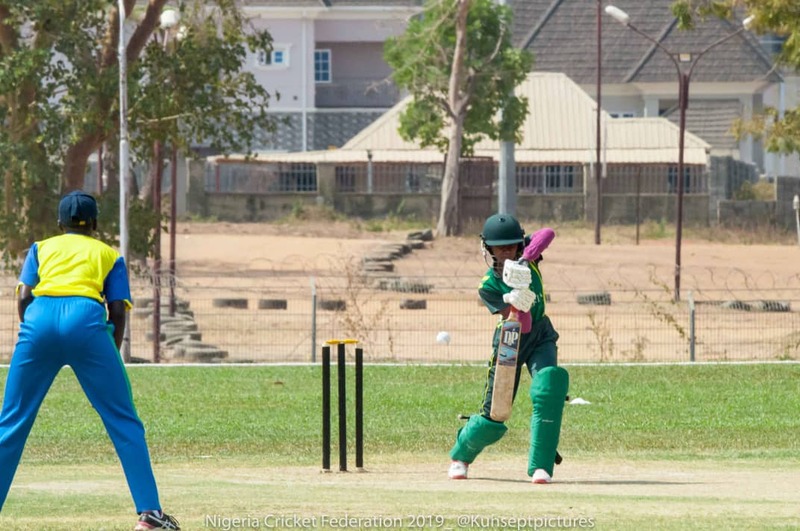 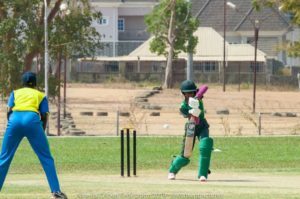 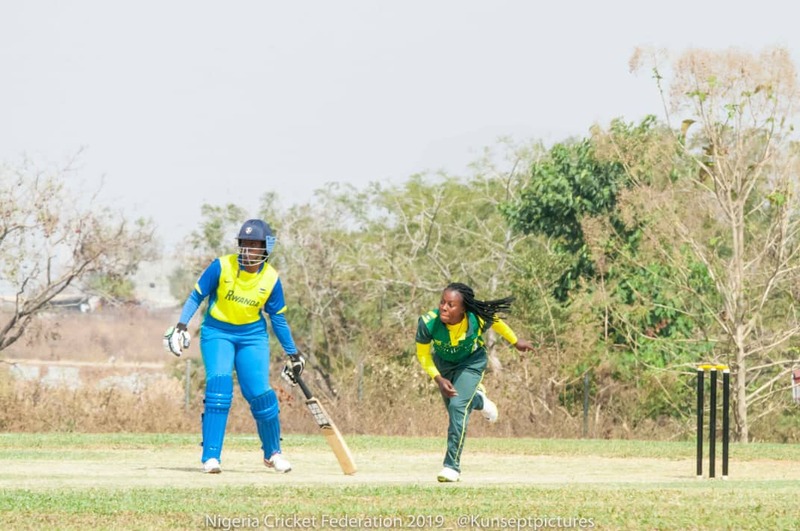 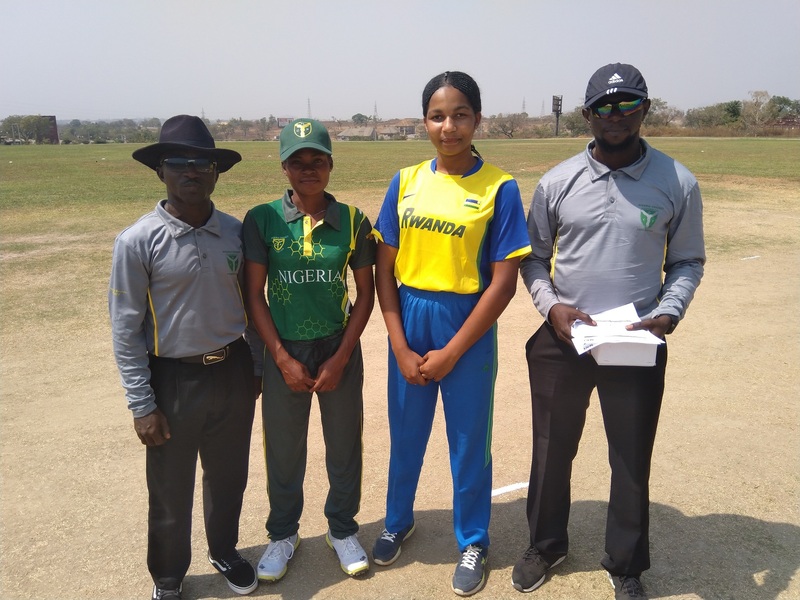 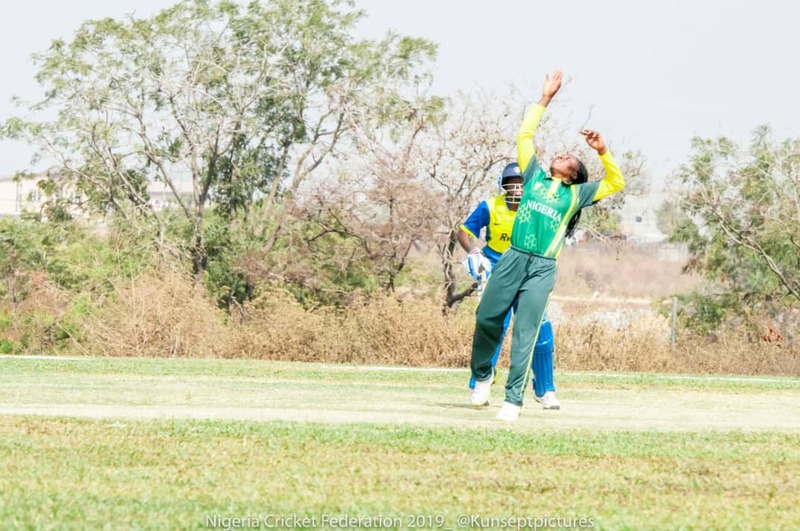 Samantha Agazuma and Fyneface Fate took Nigeria across the finish line with some brilliant bating display to record a total of 86 runs for the loss of 5 wickets in 18.3 overs. 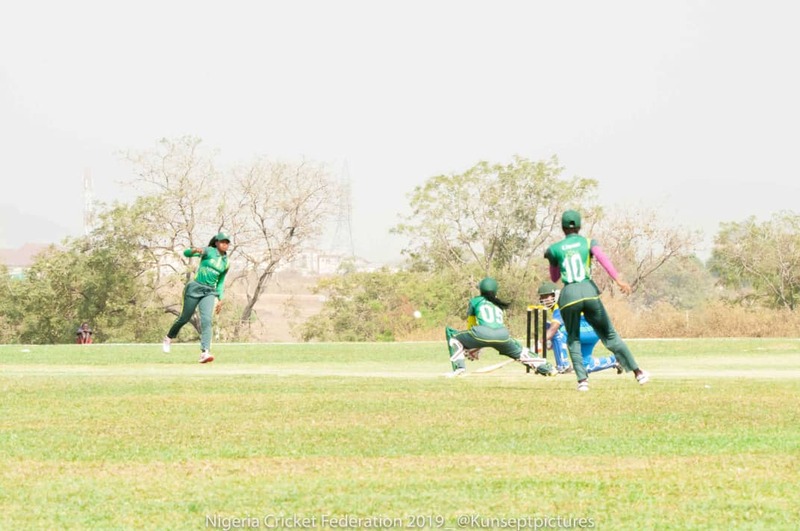 Nigeria won the match by 5 wickets. 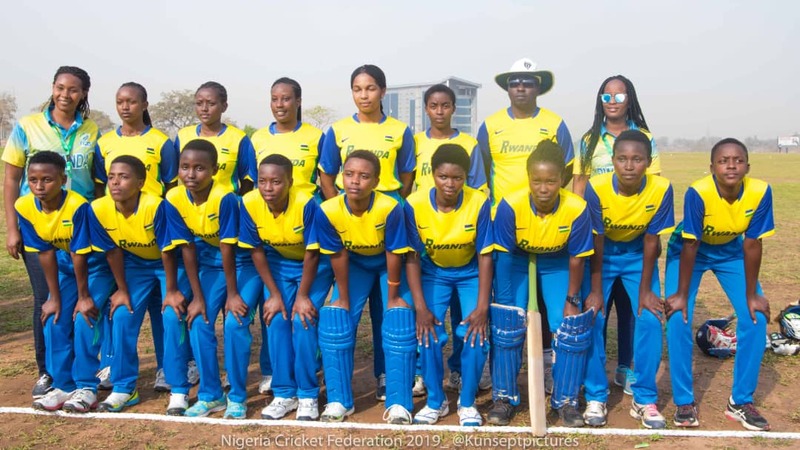 No Replies to "Rwanda National Women team tour to Nigeria gets underway in Abuja."